For your best-looking hair ever, follow these tips! Let’s face it, when you’re trying to reach new lengths with your locks, going in for a regular trim can feel counterintuitive. While we would never recommend skipping your regular trim, by taking better care of your hair in-between visits to the salon, you may not have to part with as much hair the next time you go in. Below we’re sharing three expert tips to help you keep your hair healthy in-between trims! If you find that your hair is quick to become dull-looking and frays at the ends in-between trims, consider asking your James Geidner stylist about our L’Oréal Professionnel’s Pro-Fiber treatments. Not only can you get a strengthening treatment at the salon, you can use the take-home products to continue to care for your hair. This will prolong the effects of the in-salon treatment at home. We can assess your hair type and the level of damage the next time you’re at our salon. 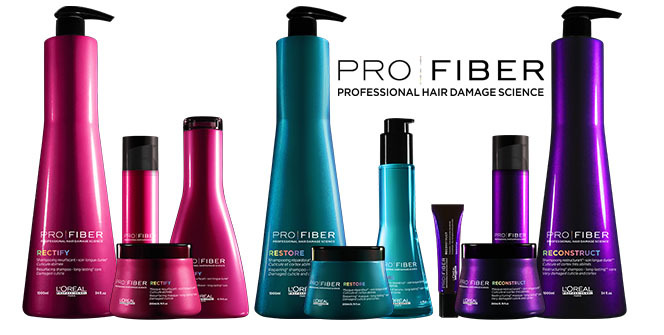 From there we will be able to recommend the exact Pro-Fiber products to meet your hair’s unique needs. With the at-home products you’ll benefit from the effects of the in-salon treatment for up to several months. No matter what your hair type, hair oil treatments are a great way to keep your locks looking luscious and your ends from splitting in-between appointments. 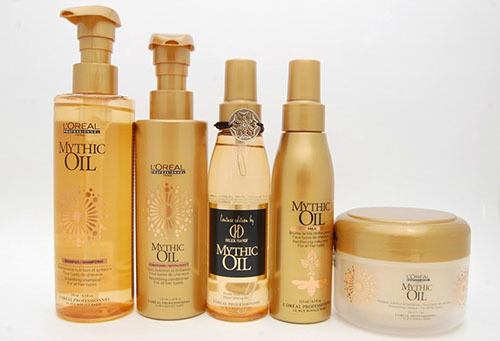 Our L’Oréal Professionnel Mythic Oil in-salon treatment works for all hair types and textures. For thicker hair, the treatment offers intense hydration so it’s easier to tame and style. For normal-to-fine hair, the lightweight treatment helps to leave your locks looking silky and shinier. The treatments-complete with an oil, shampoo, and hair mask-last just 15 minutes. There are supplemental products you can use at home, so your hair can look its best without ever reaching for the scissors. Damaged hair got you down? 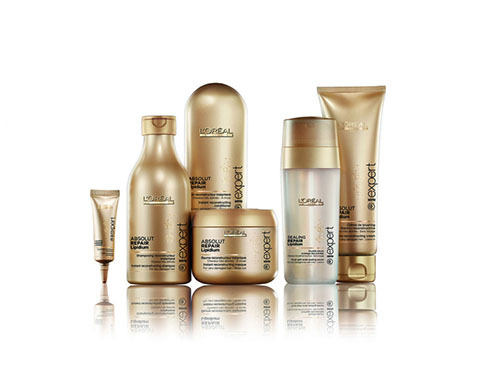 We recommend the L’Oréal Professionnel Absolut Repair Lipidium treatment. The treatment was created to help to restore, renew, and refresh damaged hair in a single visit to our salon! The treatment uses four products to help to give you strong, shiny hair. It’s ideal for color-treated, dry hair that’s in need of extra moisture. To prolong the effects, use the Absolut Repair Lipidium collection at home! Copyright © 2019 James Geidner Hair Studio. All rights reserved. Salon Web Design by StyleNet.